We can usually determine with a very short conversation whether there is any real risk that a departing employee may try or be tempted to bring a claim in an Employment Tribunal or Court. 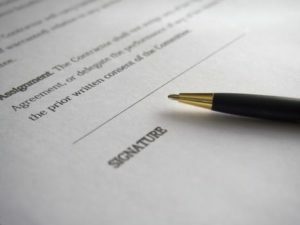 If not, we are happy to say so and suggest that the time and expense of having the employee sign a settlement agreement can be avoided. If you or we have any doubt, then a settlement agreement is often a very sensible precaution. We will advise on the appropriate financial settlement. The template or example you may have kept from a few years ago may well be out of date or not suitable. We ensure that the agreement we provide are up to date with current law and expertly drafted to deal with your particular circumstances and be certain there is no opportunity for the employee to comeback at a later date. To ensure the agreement is drafted appropriately, it is necessary to discuss the background leading to the agreement. When doing so, it is often the case that we are able to provide advice that leads to a financial saving, even taking account of our fees.